After our meeting we drove across town through heavy traffic, the four lane highways run through Anchorage as main streets. We went to the Anchorage Museum to see a plantarium movie – Experience the Aurora. with time-lapse footage captured in the Arctic Circle. This immersive show is the next best thing to being under Alaska’s winter night sky. We came into the museum and had a great lunch of turkey and swiss on homemade bread, chips, sweet tea. The highlight of lunch… homemade creamy bcon filled with large chunks of crisp sweet pickles potato salad followed by soft and chewy homemade peanut butter cookies. To die for..
Carol and I then went and sat in the auditorium …..humm….2 minutes we are still alone with dim lights..a real quick check of museum map..oooops..wrong place…off fast ..ran to planetarium. Thank God the not to far. We really enjoyed the movie and the comfy seats.. amazing footage of Aurora. Just beautiful photography, from Ak, Iceland and other places of the Northernlights. 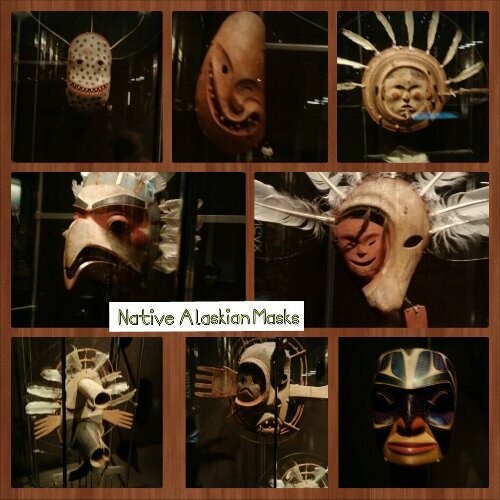 We were amazed with the Native Alaskian collections in the museum. . Wow! Even though they are very beautiful all were made to be usefull. 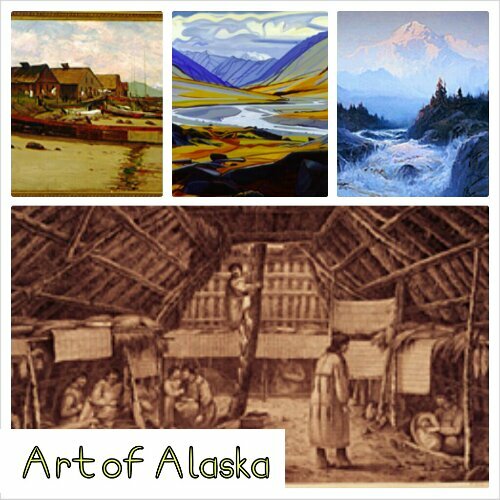 Art exhibit of Alaska. Sketchbooks, drawings and paintings of Alaska. Come back for notes on painting class.